I noticed today that the MBTA has placed a "Your Speed" electronic sign by the inbound track just before Boylston, of the exact same type that police departments often deploy on roads prone to speeding. This is the first time I've seen anything like this on the T. Have they done it before? It was there Friday morning, however it was not turned on. Was it today? It was! We came by it at 18 mph. This is more funny than anything else. They should put one up near Haymarket, my last trolley driver came through there like a cannonball. Last edited by Mcoov on Sat Apr 19, 2014 11:48 pm, edited 1 time in total. Trolleys aren't driven. They're operated by a motorman or motorperson (as is the official classifcation name). It's bad enough to see such misnomers in the media, such things just shouldn't happen here. And while it has absolutely nothing whatsoever to do with the topic, I'll indulge you. Per Merriam-Webster, to "drive" means, among other things, "to operate the mechanism and controls and direct the course of (as a vehicle)". Is that not what the operator of a light rail vehicle does? It is a vehicle after all. I guess one could argue that operators do not "direct the course of", since the vehicles are on a fixed course, but I think "drive" is a perfectly appropriate word. Far more appropriate than calling them conductors, as the media and ignorant public always tend to do. You answered your own point. Airplane drivers do "...operate the mechanism and controls and direct the course of (as a vehicle)." yet they "pilot" the craft. Green Line motormen operate the streetcars, regardless of what Merriam-Webster has to say. I'm not too concerned with going off topic as with any luck the thread will get locked anyway. Allegations regarding employees engaging in safety violations should be directed to the Authority and have no place being discussed here. CRail wrote: I'm not too concerned with going off topic as with any luck the thread will get locked anyway. Allegations regarding employees engaging in safety violations should be directed to the Authority and have no place being discussed here. I agree that specific allegations should not be discussed here, but general discussion of operating practices should be allowed. I was primarily targeting a particular post. My only issue with the topic itself is that it's going to provoke comments such as "WE WERE GOING 25 IN A 10!" Otherwise, I agree, that it's fair. On topic, I was talking to a friend of mine who works on the green line who was saying they were entirely inaccurate. At one point, one displayed 7mph while the train was stopped loading passengers. There were two of them next to the Eastbound head house at Boylston, probably waiting to be either reprogrammed or picked up. I once saw a guy sitting in his car with a laptop going and a cord reaching out his window plugged into one of these displays. It was a municipal one, but it was the same machine. Anyhow, I found it interesting to see. Too bad I was trying to get somewhere or I'd have stopped to see what he was up to. Wow, this is pretty silly... and instead if investing money on maintaining the system so that operators can actually stick to the schedule, they're buying/renting signs that display your speed to get operators to grind the system to a halt. Seriously, who thinks of this stuff? It is just pathetic. CRail wrote: You answered your own point. Airplane drivers do "...operate the mechanism and controls and direct the course of (as a vehicle)." yet they "pilot" the craft. Green Line motormen operate the streetcars, regardless of what Merriam-Webster has to say. I don't see how I answered my own point there, considering I never said anything about airline pilots. Though yes, according to that definition, you could correctly say airplanes are "driven". I don't know why you WANT to see this thread locked though. I just saw something interesting on the green line and wanted to share it with you guys. I thought that was the point of this forum - to share interesting observations and new information about railroads and transit systems, and discuss them. No one in this thread has ever alleged that any employee engaged in any safety violation. No safety violations or employees were even mentioned. By your logic threads should get locked for mentioning the presence of a signal, or a sign, or basically anything else. Frankly I'm getting a bit tired of encountering and witnessing that attitude in countless threads. It creates a hostile environment and discourages people who haven't been on the site for ten years from posting. Mcoov wrote: They should put one up near Haymarket, my last trolley driver came through there like a cannonball. Here's the allegation that is denied to exist, and the source of hostile environments. This is what is not necessary and the reason I'd like to see this discussion ended. It implies with no specific knowledge of the speed of the vehicle or the speed authorized that the operator was going too fast which is a safety violation and could negatively impact someones livelihood. It has no place here, and this discussion provokes comments including speeds they saw the sign say (which, as I said were likely inaccurate because the signs weren't functioning properly). 1. Mcoov did not post an employee number, nor even a trolley number, nor even so much as a date or time. His "last" trolley operator could have been 10 years ago. 2. It seems that should warrant the deletion of posts, rather than the closure of topics. Or, as was said, we'd have NO discussion out of the fear that anything could be incriminating at any time. 1) CRail, a chill pill: take one. I don't see anything that says "moderator" beneath your name, and even if it did you would be overstepping your bounds. No operator was specifically called out, no trolley or time of day was mentioned, it was a simple (and from being a daily rider, factual) observation. It threatened no one. You have a great wealth of knowledge and a passion for railroading, but it doesn't mean you have to shove it down peoples throats. 2) Trolley drivers do occasionally speed. There is this big ol speedometer on the dash plainly visible to anyone with decent eyesight anywhere near the cab. If an operator is exceeding the speed limit its easily observable, and even if one can't see the spedo a daily rider can pretty accurately tell if something is faster than usual by the "seat of their pants". 2a) It doesn't matter, and certainly doesn't deserve a chastising a new(ish) member because they posted that someone, at some point, may have been moving "like a cannonball". In fact with the grueling experience that is the green line, I fully support these alleged actions. 3) You can drive a trolley the same way you can operate an automobile or pilot a train. It's all semantics. There is a preferred word for each use, but it is not explicitly wrong to use the other one, and again, not worth chastising a member. Jokingly pointing out an incorrect use? Sure. 4) You've managed to completely derail a topic grounded on a fairly benign question, and take no issue with that, but have a massive problem with some perceived offence to GL operators. Rrrright. Is it any wonder why I personally stopped posting here for a year or two and traffic has noticeably declined since I joined, despite more people online than ever and transit ridership going up? Look, if someone is specifically targeting an operator or trainset that was doing something "wrong", they should take it to the (T) and not be posting it here. The content posted by those 'in the know' is invaluable here, and the reason I came back. Reasonable steps to protect them (and maybe an actual, written rule defining it in the FAQ?) are a good idea. But posting a general observation with no specifics isn't going to offend or threaten anyone's job, and it was an on-topic anecdote. The topic relates to a piece of equipment installed by the T, observable to riders. It is directly on topic with this forum. Just because you don't like that people are talking about it doesn't mean you should ruin the thread to the point of it being locked. I feel like I've seen one of these before. For some reason I feel like it was either above ground on Comm Ave or underground somewhere around North Station. It's a really fuzzy memory though, anyone remember anything similar? 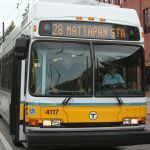 BostonUrbEx wrote: Wow, this is pretty silly... and instead if investing money on maintaining the system so that operators can actually stick to the schedule, they're buying/renting signs that display your speed to get operators to grind the system to a halt. Seriously, who thinks of this stuff? It is just pathetic. The Transit PD has a few of these. They had these in the South Station bus terminal as they are the Police Dept for that terminal. I am not sure why they really want to put the speeds out front and center for everyone to see. My personal opinion is to increase line supervision if there is an issue. Lets please move on from arguing in here. This forum is a RAILFAN forum that the Authority and Operators DO read. Saying things that can get people in trouble(even in a generalized form) makes railfans looks bad. If you see rule violations that you feel you need to say something, please report it to the Authority. If you do not want to take it to that level, use your social media of choice... This is not the place.